Our celebration of the beauty of our universe continues with more glimpses at the marvels of the cosmos. We previously brought you 10 amazing Hubble Space Telescope pictures and 7 spectacular space photos; here are 7 gorgeous galaxies to quench your thirst for galactic eye candy. Leave a comment letting us know which image is your favorite! 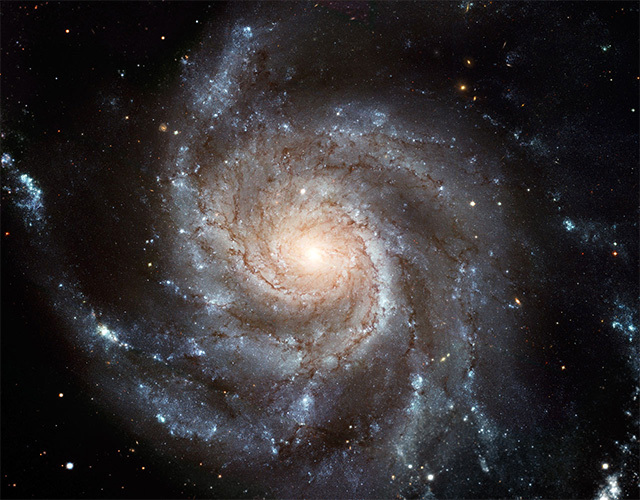 At 170,000 light-years across, the Messier 101 galaxy is nearly twice the diameter of the Milky Way and home to an estimated one trillion stars.